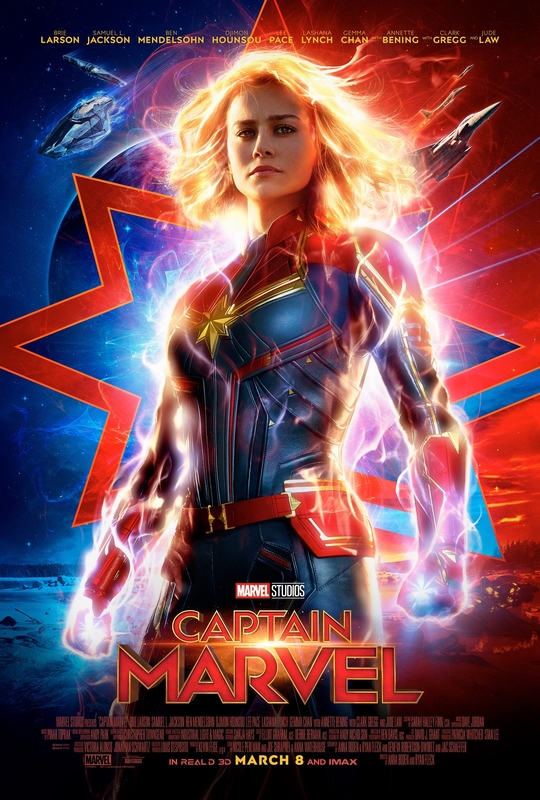 Promotional poster for Captain Marvel. Captain Marvel has launched into theatres with a $760 million world-wide box office haul as of March 18th. It stars Academy Award-winning actress Brie Larson, Samuel L. Jackson, and Ben Mendelsohn. People streamed into theatres most likely for two reasons; the fact that Captain Marvel is the first female Marvel Cinematic Universe (MCU) superhero with her own solo film, and to see whether or not she will be able to defeat Thanos in highly anticipated, upcoming blockbuster, Avengers: Endgame. And her freshmen outing is interesting, to say the least. Months leading up to the release, the film was already sparking conversations. A very vocal minority took to the internet, saying to “boycott the film” because of Larson. They took to Rotten Tomatoes, the review aggregator site, and started bombing the film’s review score. It got so bad that they removed the Audience Score bar for movies that haven’t been released. However, on opening Friday, the Audience Score plummeted to the 30s, the lowest scoring MCU film ever. It seems that this is just the result of internet trolls, as the Cinemascore for the film is an A. Cinemascore interviews people as they walk out of the theatre, so their score can be trusted. Despite the controversies, the film overall is quite enjoyable. Larson, Jackson, and Mendelsohn are the best parts of the film. The editing and pacing could have been much better, but pacing is a really hard thing to nail, and not every film is going to have significant flair in it’s editing. My biggest gripe with the film however, is the way it handles Danvers’ character development. We don’t know anything about her at the beginning of the film, and neither does she. But we still don’t know much at the end. We don’t know her fears, her aspirations, and we should, because a twist midway through the film completely changes her worldview. We should know more about her by the end, but we don’t. I feel that if the film was longer, this issue could have been fixed. Another issue was Jude Law’s character, who was incredibly boring and shallow, despite Law’s fine performance. Lastly, I want to talk about the feminist aspects of the film. Many might say that the moments in the film weren’t aimed towards me, but towards women. They were put in to inspire women and make them see somebody like themselves on the silver screen. And that is an acceptable answer, except that there’s one factor that kills it; Wonder Woman. Wonder Woman is one of the films that Captain Marvel is being most compared to, and it suffers from the comparison because of feminism. In Wonder Woman, both men and women can look at the screen and feel inspired by the power and resolve the title character shows. Captain Marvel, next to Wonder Woman, feels very pale next to it. And it would've been easy to make it equal, or even stand above Wonder Woman. However, the short runtime paired with so much to cram, deprives Captain Marvel of this inspirational factor her counterpart shows. While it has some issues, the film is very entertaining, and it’s role in the larger MCU is bigger than most origin stories. It is definitely a must watch if you are planning to see Avengers: Endgame in April. It was also nice to see Clark Gregg back on the screen after his supposed demise in the first Avengers film (He did come back on the show Agents of SHIELD and has been a recurring character for 5 seasons). Finally, make sure to stay after the credits, until the very end.